Every car needs to have an effective braking system. Orange County car brake systems are designed with your safety in mind; however, with age, car brakes wear down. In order to ensure your personal safety and the safety of other drivers on the road, it is essential to make sure that the brakes in your car are in optimum condition. How often do I need to inspect the brakes in my car? The answer to that question depends upon a number of factors. Your personal driving style is the most important one. Some people cruise slowly to a stop at a red light, others screech to a halt at the last minute. The kind of terrain that you usually drive on also matters. Driving on hills will wear down your Huntington Beach brakes a lot quicker than driving on flat terrain. Other factors are: the kind of braking system installed on your car and the traffic density that you usually drive in. Fountain Valley Brake systems of cars driven in cities wear out much faster than cars which are usually driven on highways. Taking all the factors listed above into account; it is prudent to have your car’s brake system checked thoroughly after every 10,000 miles or once a year. How do I carry out an inspection of my car’s Buena Park brake system? The best way to begin your Newport Beach brake system inspection is to take the car for a drive. If the brake pedal goes all the way to the floor then there might be a leak in the master brake fluid reservoir. If the brake pedal vibrates or pulsates, it might mean that brake pads, rotors, drums or brake shoes in your car need to be replaced. Once you are back from your test drive, it is time to check the level of fluid in the master brake cylinder reservoir under the hood. Make sure that the brake fluid is clear and has a uniform color. If the color of the brake fluid is dark, then it is time to replace it. Carefully, top off the reservoir with Newport Beach brake fluid if necessary. The brake fluid in the reservoir has to be kept free of dust and other impurities. If you frequently find yourself adding more then 2oz of fluid to the reservoir, then the brake system might have sprung a leak. After inspecting the master brake cylinder, it is time to look underneath the car and inspect the metal brake lines. Make sure that they are not leaking or damaged. Rubber hoses that deliver the brake fluid to the Sunset Beach brake calipers also need to be checked thoroughly. Make sure that the rubber hoses are not damaged or ruptured in any way. They may get damaged if they are very close to heat producing mechanical parts. Next, you need to check the brake assembly near each wheel. Follow one of the following set of steps to continue with your inspection. Remember to wear a face mask when working with the brake systems as brake dust is very injurious to health. How do I carry out an inspection of a drum brake system? Drum brake systems have the following major parts which need to be checked for wear and tear. Inspect the wheel cylinder for signs of brake fluid leakage. A defective wheel cylinder will have brake fluid leaks from its sides. Remove the brake drum and check its insides for signs of damage. Remove any brake dust using a brake cleaner. If the brake shoe and brake drum are excessively worn out, then replace both the parts at once. How do I carry out an inspection of a disc brake system? Begin by inspecting the condition of the brake pads. Clean the brake pads and make sure there is no dirt on the surface of the pad. If the brake pads are excessively worn out, they might need to be replaced. Check the condition of the calipers. Make sure that the piston inside the caliper is working properly. Next, take a look at the rotor. If the rotor has scratches on its surface, it means that there is a lot of dust between the brake pad and the rotor. Clean it out with a brake cleaner if necessary. You might have to replace or resurface the rotors if they have deep scratches on the surface. Orange County Transmission repairs are the extremely expensive and complicated in cities like Huntington Beach, Fountain Valley, Buena Park, Newport Beach and Sunset Beach. It is important that you shop around and look for an experienced transmission repair shop before making your final choice. Orange County Transmission repairs can cost from a few hundred dollars to a few thousand. A lot of people get ripped off by unscrupulous transmission repair specialists and pay a few thousand dollars for a job that would cost only a few hundred. 1. Get your facts right. Transmission shops will need to know the following information when you call them or visit them for a quote. a. Is your vehicle a four wheel drive, a rear wheel drive or a front wheel drive? b. 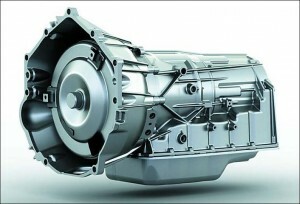 Is your vehicle’s transmission automatic or manual? 2. 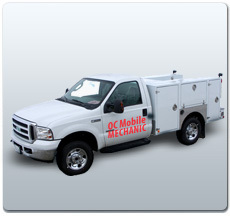 Shop around for transmission repair centers in Huntington Beach and Fountain Valley. When calling them for an estimate, don’t hesitate to ask them if they will match competitor prices. 3. Make sure you get a written estimate and a warranty. Also make sure that there are no hidden costs. 4. The specialist might have to take the transmission apart before providing an estimate in Buena Park, Newport Beach and Sunset Beach. Never allow the transmission repair center to charge you for a road test, inspection or tear down fee before they quote a price for the repair. 5. Take your car down to the transmission center only if there are no fees for initial inspection and tear down. The sound of screeching tires means different things to different people. To most people, it means something has gone wrong: a missed turn, someone getting cut off by a thoughtless driver or some other emergency on the city streets. If you are driving on the freeway and suddenly encounter a wall of red tail lights; you would want to hear the violent screech of tires as your foot slams down the brake pedal. The noise and the distinctive smell of brake fluid indicate that the brakes did their job and kept you from another collision. Every vehicle is equipped with brakes in Orange County. An Orange County brake is a device which slows down and stops the rotation of the wheels in a moving vehicle. Vehicles like trains, trucks, cars and bicycles use friction brakes. Friction brakes use friction between the brake pad and the wheel to prevent the wheel from turning. Whenever a friction brake is applied, it generates a lot of heat in Huntington Beach. This heat needs to be safely dissipated away from the Orange County brake pads in order to prevent overheating of the brake pads. Brakes lose their effectiveness at higher temperatures; hence brake systems are designed for optimum heat management. How many types of car brakes are out there? The drum brake and the disc brake are the two kinds of brakes most commonly used in automobiles. Brakes of both kinds rely on hydraulics to activate. The hydraulic system commonly uses brake fluid in order to transmit pressure and trigger the brake pads. Drum and disc brakes both work by generating friction between the wheel and the brake. A drum brake works by constricting the brake shoes located on the inside of a wheel. This action causes friction to be generated between the shoe and the wheel and the wheel slows down. 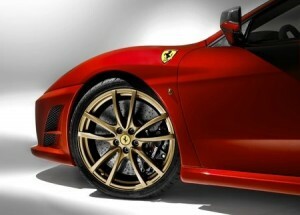 The disc brake, on the other hand, works by clamping down on the rotors of the wheel itself. Disc brakes are not prone to “Brake Fade”. Drum brakes lose their efficiency dramatically when immersed in water or used in rainy conditions, this is known as “brake fade”. Disc brakes have superior braking efficiency in wet conditions because, unlike drum brakes, they do not trap water even when immersed. Disc brakes also have a much superior heat management mechanism. This results in a better braking performance due to quicker heat dissipation. Both drum and disc Fountain Valley brakes can cause an automobile to skid during a panic stop. This may lead to the driver losing control of the vehicle. The first antilock brake system (ABS) was introduced in the United States in the year 1985. The ABS uses a microprocessor and wheel sensors to detect a skid as soon as it begins to occur. ABS then controls the individual Fountain Valley brakes on each wheel using a separate brake circuit to stop the wheel from skidding. 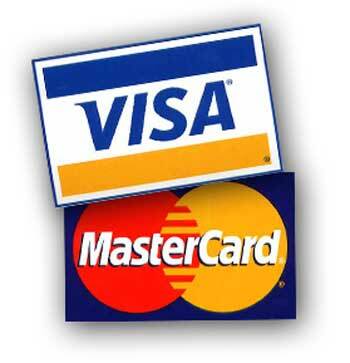 The entire process is controlled by a microprocessor and the correction happens within microseconds. Within just five years of its introduction in the American car and truck market, the ABS system was available in 25% of all new vehicles. Today, this safety feature is factory fitted on 90% of all vehicles sold in the US market. Heavy vehicles such as buses and trucks use compressed air instead of brake fluid in their Buena Park brake systems. Trains use a very different type of brake. Invented in 1869, by George Westinghouse, this brake system does not involve the use of hydraulics to apply the brakes. Instead, it uses compressed air to prevent the brake from activating. In this system, the Buena Park brakes are automatically applied whenever there is a loss of air pressure. The main reason for failure of hydraulic brakes is the loss of hydraulic fluid. The Westinghouse air brake system automatically applies brakes whenever the air pressure in the cylinder drops. This makes the air brake system less prone to leaks in the brake lines and makes it much more reliable than regular hydraulic brakes. Modern electric cars use a very different kind of braking system called regenerative brakes. This system uses magnets to create opposing forces between two moving parts. The magnets convert the momentum of the wheels into electricity. Just like in a generator. When the driver is not accelerating, the electric motor of the vehicle changes into an electric generator. The generated electricity can subsequently be used to recharge the onboard batteries. That is why, this kind of braking system is called a “regenerative braking” system. As the means of transport becomes faster and faster, more effective braking systems will be needed. Aircraft, for example, use flaps and spoiler surfaces to slow down when flying or on the ground. The evolution of braking systems is far from coming to an end. An automobile breakdown in Orange County is an extremely inconvenient event. It may occur due to a number of reasons like brake failure, engine seizure, flat tires or transmission failures. Amongst the bad things that can happen to a vehicle, the worst and most expensive failure is transmission failure. Fixing a transmission failure is both time consuming and costly. You can take immediate steps to ensure that you are not saddled with sudden, expensive transmission breakdown. How Do I Prevent Transmission Failure in Orange County? Preventing sudden transmission failure is easy. First we need to make sure that the transmission fluid is replaced at regular intervals. If you own a late model vehicle or your automobile is heavily used, you need to make sure that the transmission fluid is changed much more often. An auxiliary cooler also helps maintain the health of a heavily used vehicle’s transmission. Sound driving habits will ensure that your vehicle’s transmission lasts for a long time. Do not engage the overdrive when driving on mountainous terrain. Doing so stresses the transmission system and may lead to transmission problems. If you are using an automatic transmission, remember to shift into neutral at traffic lights. Drivers using manual transmissions should release the clutch when stopped at traffic lights. Transmission fluid levels should be frequently checked and topped up if the levels drop. Check for fluid leaks on the ground where the vehicle has been parked in Orange County. Contact your mechanic immediately if a fluid leak is detected. Always make sure that all hoses and belts of the vehicle are securely fastened. Remember to keep the radiator and air intake ducts free of obstructions. Doing so will ensure proper cooling and air flow. Preventive maintenance will go a long way in preventing costly Orange County transmission failures. The vehicle may develop transmission problems despite your efforts at preventive maintenance. If that happens, do not wait for small problems to snowball into larger ones. Regular transmission repair will ensure that you continue to get good mileage and performance from your vehicle. Even though transmission repairs are expensive, conducting repairs in time ensures that complete transmission failure does not occur. Which Repair Shop is good for me? Transmission Orange County repair is best left to reputed shops. This is a very specialized job which requires specific skills and experience. When trying to choose a repair shop, pay special attention to the cost and the number of years that the shop has been in business. Transmission repairs are expensive and should always be done by people who know what they are doing. Should I Repair, Replace or Rebuild? Depending upon the state of the vehicle’s Huntington Beach transmission, you may choose to rebuild it or repair it. Rebuilding a Hunting ton Beach transmission requires a skilled mechanic with many years of experience. This is the low cost option and the vehicle has to spend lesser time in the shop. You can even buy a rebuilt transmission system if the old transmission system is completely shot. So remember to take regular care of your vehicle’s transmission system. Prevention is better then cure and a lot cheaper too.